How to get the support you need to lose weight for good. An exercise buddy who motivates you to show up for an early-morning walk…a neighbor who can watch your kids while you go for a run… a co-worker who’s also dieting to share healthy brown-bag lunches with. These are just some of the many sources of support you’ll need to call on as you take your weight-loss journey. And don’t forget to call on your most important supporter, the one person who knows you best: yourself. Take a few minutes to think about the kind of support you need as you face various weight-loss challenges—and how you’ll get it. With a support game plan in hand, you’re ready for just about anything! Use our Call in the Troops worksheet (click to download pdf) to list your own sources of support—and how you can call on them when you need them. Reviewing the Seven Steps to Permanent Weight Loss will also help. Get help from the pros.Connect to more information about weight management and health from organizations like the USDA (www.mypyramid.gov) and The American Dietetic Association (www.eatright.org). Seek encouragement, fellow dieters! 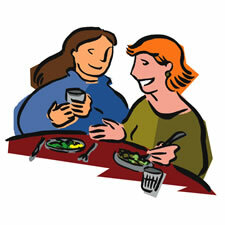 Comment your questions, successes and challenges with others on The EatingWell Diet Challenge pages. Become a problem-solver. When an obstacle challenges your weight loss resolve, try this simple four-step problem-solving technique. Then, with the skills you’ve learned, generate answers to your own weight loss issues; our Tackle a Tricky Problem worksheet can help you through the process. 1. Identify the problem by defining it. 3. Choose what seems to be best solution. (It doesn’t have to be the perfect solution). 4. Implement the plan, then assess. Did it work? If not, don’t worry. Many problems require multiple attempts to solve. Just try another strategy. To put these steps in action, use our Tackle a Tricky Problem worksheet.